Had a good time with this piece yesterday. No shortage of detail! 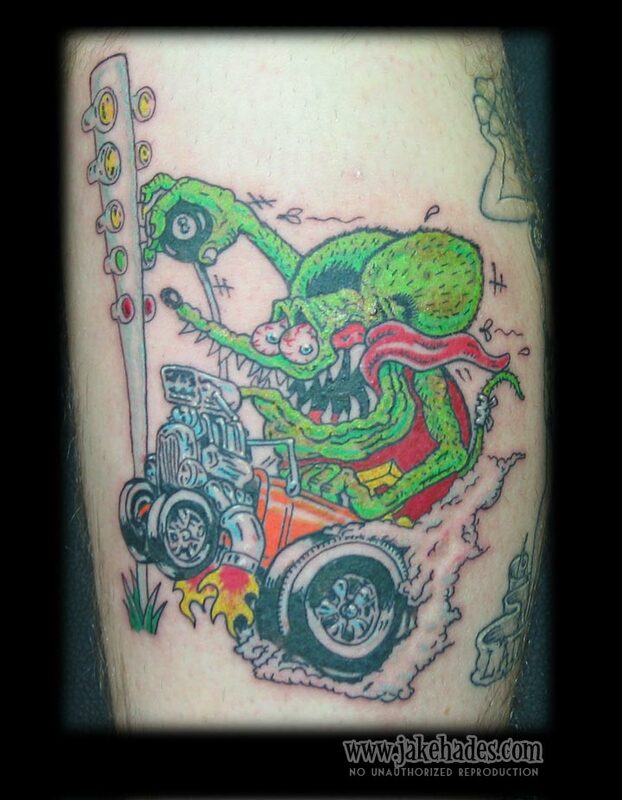 This Rat Fink piece was tattooed on a calf, the first of ongoing pieces carrying on the motif.